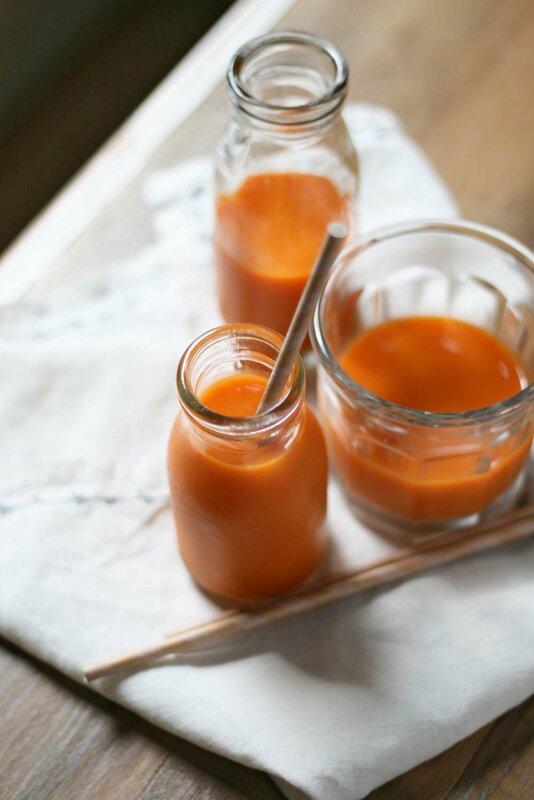 Step aside sugar-loaded pumpkin spice latte, this autumn juice recipe takes seasonal drinks to a whole new level. Unlike PSLs, this juice is made with real food ingredients that perk up the immune system and fill your body with vital nutrients all while embodying the flavors of the season. Juice, often best served green after a sweaty yoga or barre class, can also be filled with autumnal flavors and seasonal ingredients. Leave it to our favorite rooted and grounded fruits and vegetables to get you feeling balanced, brightened, and rejuvenated in these cool fall months. Packed with sweet potato, apple, ginger, turmeric, and carrot, this autumn juice is filled with whole food superstars. We don’t mean to play favorites, but the sweet potato in this recipe is a total winner. More than just vegetable mash and fries, sweet potatoes are an easily juiced vegetable that deliver ample amounts of nutrients. This orange-fleshed beauty is one of our favorite grounding vegetables. Along with providing nutrient support to the body, sweet potatoes are easily grown across the world and considered an environmentally stable crop. Fun fact: NASA thinks these potatoes are pretty stellar too. The tubers were chosen as a candidate crop to be grown and incorporated into menus for astronauts on space missions due to their (crazy impressive) nutritional value. Just one cup of sweet potato provides 214 percent daily value of vitamin A, 52 percent daily value of vitamin C, 50 percent daily value manganese, as well as impressive amounts of copper, vitamin B6, B3, B1, potassium, and biotin. With their ample nutrients plus bioactive compounds, sweet potatoes have been widely studied for their abundant health benefits. Numerous studies have shown that sweet potato consumption is linked to anti-cancer properties, reduced inflammation, antimicrobial activity, hormone-balancing abilities, and extreme free-radical-scavenging powers. 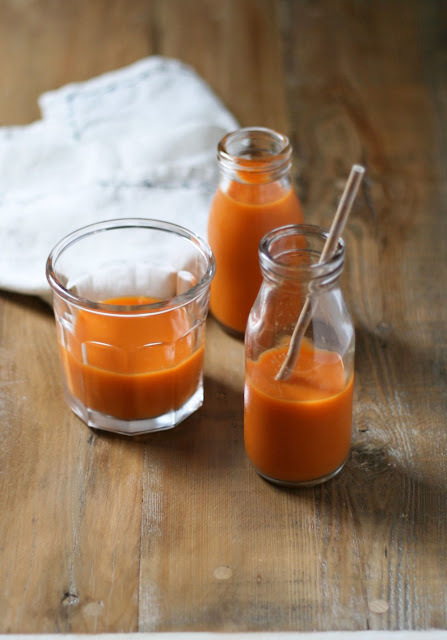 This autumn juice recipe also boats other orange-skinned superfoods such as carrots and turmeric. These whole foods deliver impressive amounts of vitamins A and C along with a wide variety of other vital nutrients. Turmeric is especially nourishing and has been shown to reduce inflammation, be protective against certain cancers, and soothe stomach issues. Just a tip, always consume your turmeric with black pepper, which makes its beneficial compounds more bioactive. 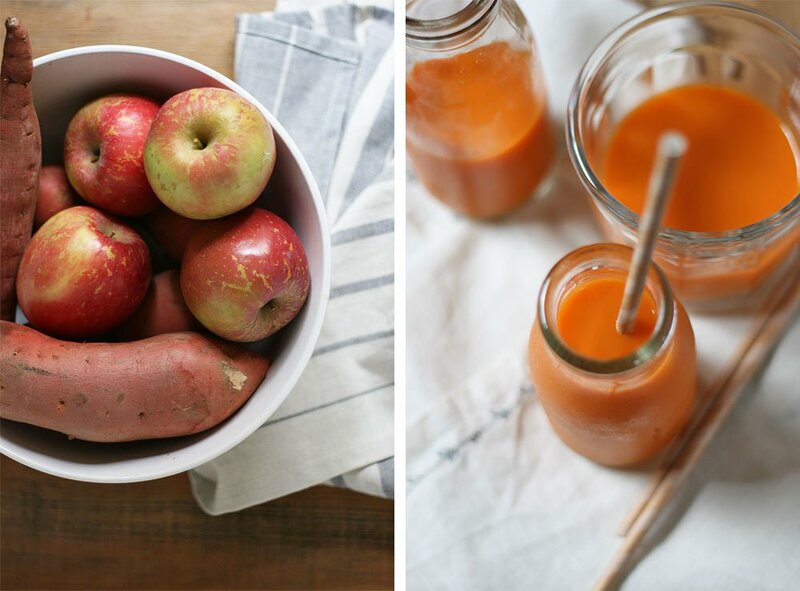 Sip the flavors of fall with this seasonal and nutrient-rich autumn juice. We know it will be your new favorite festive drink. Buh-bye, PSLs. Run all ingredients through a juicer and finish with a pinch of black pepper. 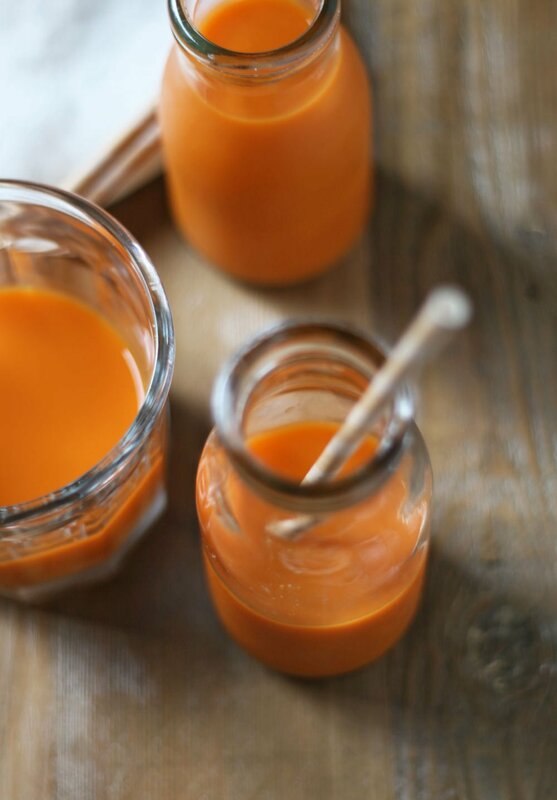 Drink autumn juice immediately or store in the refrigerator in a sealed glass jar for one to two days.